This group is mostly men. In other words, men thus are overwhelmingly the most successful, well known, and repeat advocates before the Court. Men also unquestionably dominate the lawyers representing corporations appearing before the Court. With very limited exceptions, the women I see arguing before the Court are public interest lawyers, public defenders represented the criminally convicted, or government lawyers. Translation: women are doing the same work but for less pay. What’s behind this gender discrepancy? 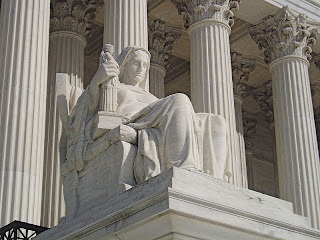 The Supreme Court (no less than the highest levels of the other branches of government) has historically been all male. 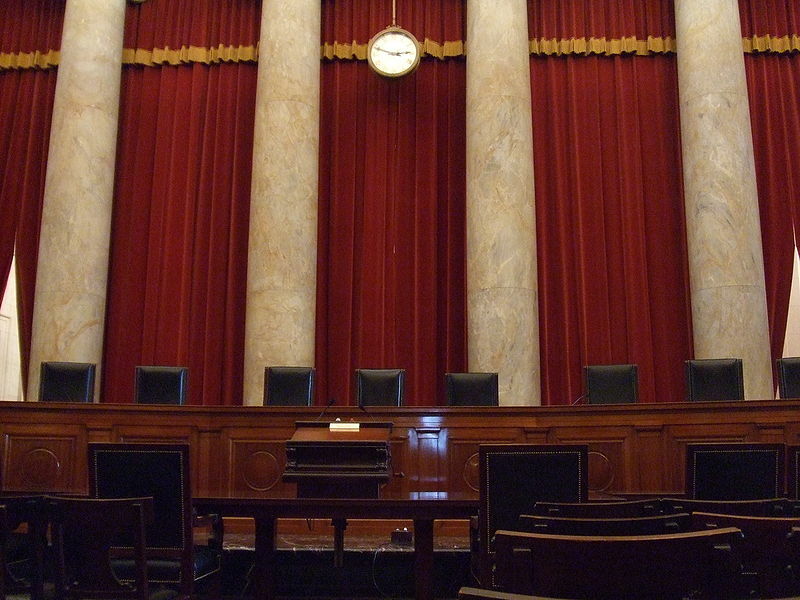 There have 4 women out of 112 Justices. As noted in numerous IntLawGrrls posts available here, up until recently Justice Ruth Bader Ginsburg was the lone female and even today, the men outnumber the women 2 to 1. Some of the blame also lies in the historical male dominance in the Solicitor General’s Office. 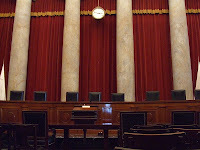 By way of background, the lawyers from the Solicitor General’s Office regularly argue before the Court and thus have the unique opportunity to gain expertise in this area. 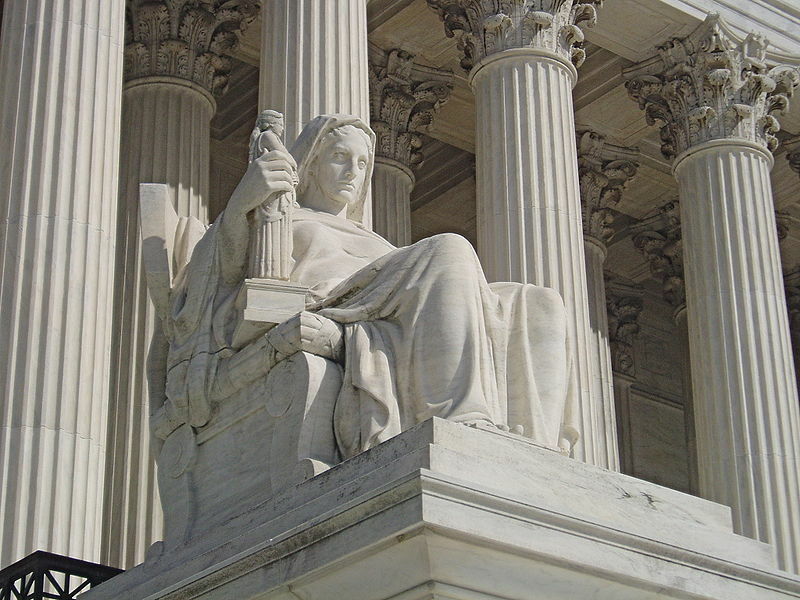 By contrast, most other appellate lawyers will never argue in the Supreme Court. Thus, this elite Supreme Court bar largely consists of men who worked in the Solicitor General’s office. There has never been a female solicitor general before Elena Kagan, and she was Solicitor General only for the blink of an eye before being nominated to the Supreme Court. Similarly, in my 13 years there, I only worked with 1-3 other women at any give time and, shockingly, there was only 1 female supervisor for a very short time during those 13 years. The Office now has the most women ever: 6. That anecdotal evidence is consistent with my experience from kindergarten through twelfth grade where, with one exception, I saw only boys getting into fist fights. Other attributes that hold women advocates back relate to other female stereotypes, however undeserved those stereotypes may be and even though these same attributes also hold male advocates back. As discussed, what’s effective before the Court is the projection of strength, confidence, and control. What does not work is showing hesitation or insecurity. A whiny voice is also real turn off. Moreover, an emotional tone does not work, and showing compassion is typically a big “no-no.” And while I’ve seen men effectively respond to a Justice’s question by saying “As I tell my kids,” I’ve never seen a woman use that rhetoric. Projecting motherhood does not sell as an advocate.